To assist in your search for CHES® and/or MCHES®, NCHEC will post job announcements on the Web site free of charge. The only requirement is that the description must indicate that a CHES® and/or MCHES® is preferred or required. Employers: Please allow three to five business days for job announcements to be posted. The job postings will remain on the NCHEC Web site for 30 days unless requested to to be posted longer or taken down. NOTE: This new posting will run from 4/23/2019 to 5/23/2019. List of Employers who recognize/hire CHES® and MCHES®. Read the Ways to Market Yourself as a CHES®/MCHES® document to educate potential/current employers on the benefits and importance of certification. Search creatively. 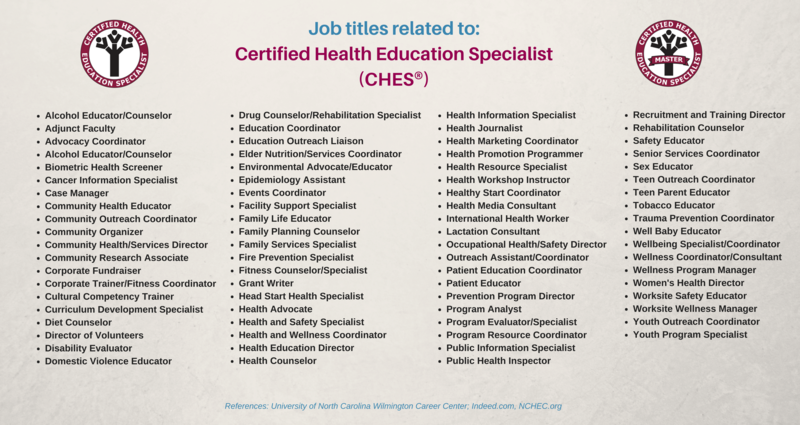 Read Job Titles that Relate to CHES® and MCHES® certification. Do you want even more exposure to Health Education Specialist? 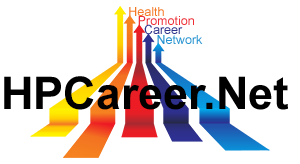 HPCareer.net has been a career service resource for professionals and students in the health education field in finding jobs and internships.